Munster Reds have named an unchanged squad for their final game of the 2017 Hanley Energy IP20 Series against the title chasing Leinster Lightning at the Mardyke on Friday evening, 5pm. The Leinster Lightning come to town needing to beat their Munster rivals to secure the title, and will be bringing a host of world-class international cricketers with them, including Kevin O’Brien, George Dockrell, and Simi Singh. It will undoubtedly be a tough task for the Reds, but they'll be fired up to notch their first win in the competition after a number of close shaves in what has been a very strong debut year for the province. They'll have Irish-selected opener Jack Tector on their side, while his brother Harry joins Aaron Cawley, Max Neville and Rory Anders in all securing Ireland's place at the U19 World Cup next year. The Clontarf duo of Robert Forrest and David Delany helped their team to Leinster T20 glory a few weeks ago, and will soon face Reds team-mates Cawley, Stephan Grobler, Gary King and Cormac Hassett in the All-Ireland semi-final at Lisburn on the 20th August. The game begins at 5pm, and with free admission, a barbecue, refreshments, and plenty for the kids, you'd be mad to miss out on top-class cricket down the ‘Dyke! 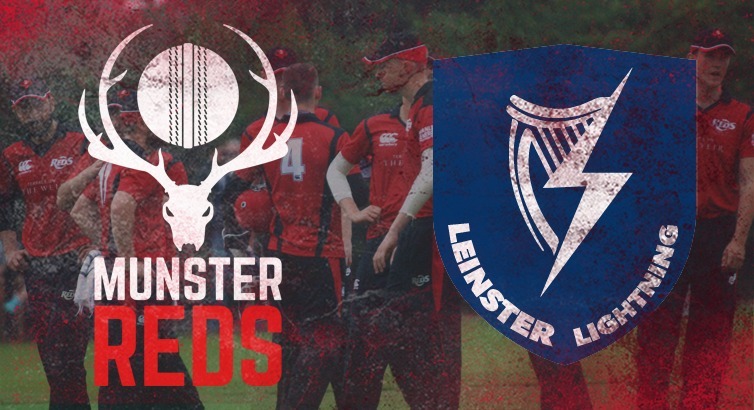 Munster Reds v Leinster Lightning, 11th August, Mardyke, 5pm. Stephan Grobler (Cork County), Aaron Cawley (Cork County), Yaqoob Ali (Co Kerry), Cormac Hassett (Cork County), Gary King (Cork County), Jack Tector (YMCA), Harry Tector (YMCA), Jamie Grassi (North County), Max Neville (Merrion), Rory Anders (Phoenix), David Delany (Clontarf), Robert Forrest (Clontarf).